It’s an exciting month for Rafa-kids as we launched not one but two NEW furniture products! Have you already seen the NEW H wardrobe? 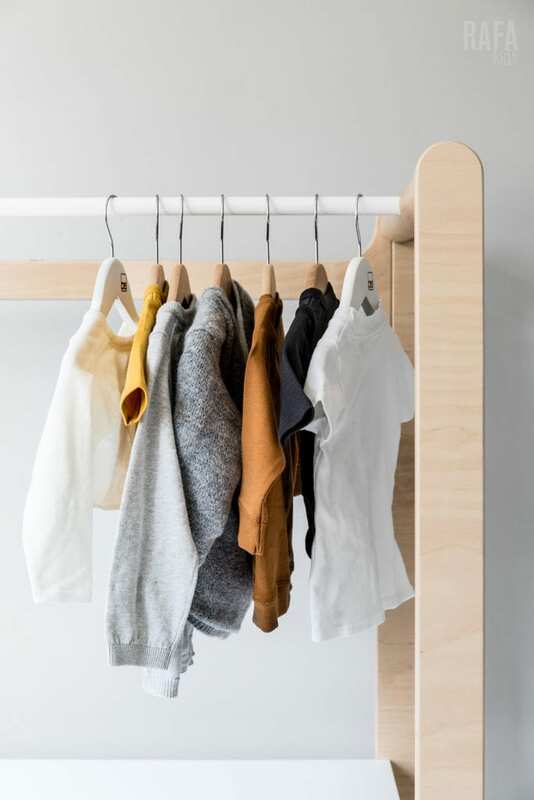 Today is time to show you it’s sister – the H Dresser. It’s a while since we became parents, but we still remember our search for the furniture while preparing the new nursery for our little boy. In the end, we have designed the furniture ourselves and found a carpenter to make it! The most important for us was to have enough space for everything! The perfect size and hight, comfortable furniture, which will fit all the necessary accessories for a baby. 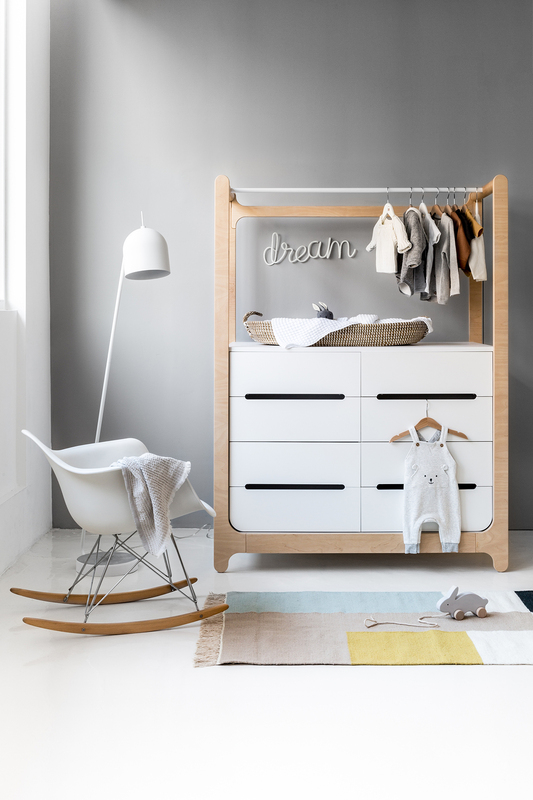 The Rafa-kids H dresser is a new version of our original design. It’s a 120cm wide piece, with eight drawers. Ohh yes!!!! This is precisely what you need. We also believe that buying the first clothes for a baby is something so special for every parent. That’s why we designed the rail to hang them close by. Not only because of the functional aspects but also because of pure pleasure to style and hang it. Who doesn’t enjoy looking at the first tinny kid’s clothes? 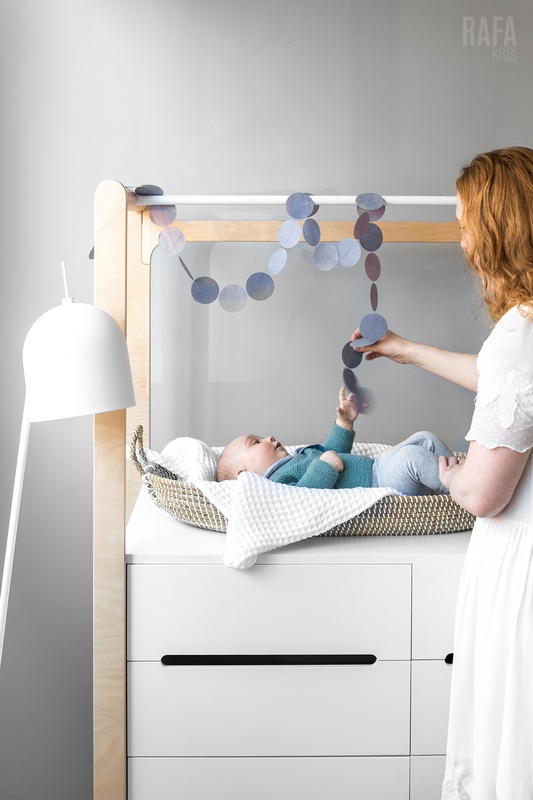 The rail can also be useful for hanging mobile to entertain the baby when lying on the top of the dresser. 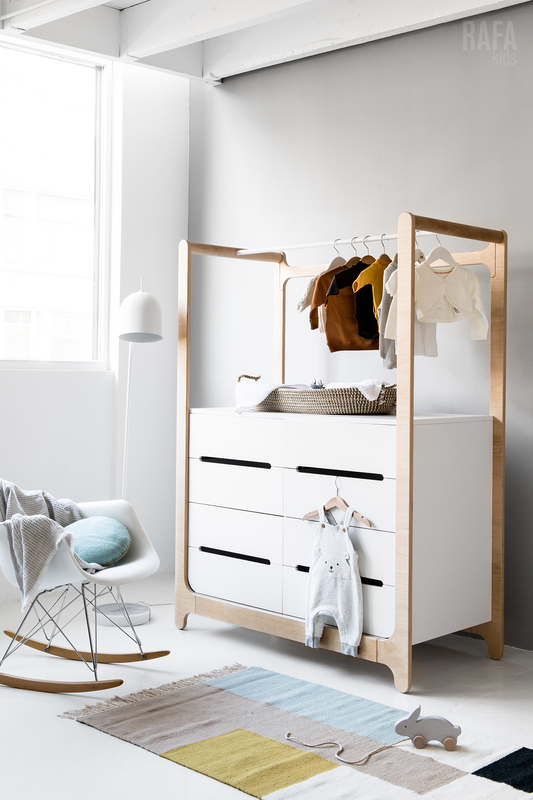 The NEW H Dresser will, of course, be useful even after your baby is finished with diapers! 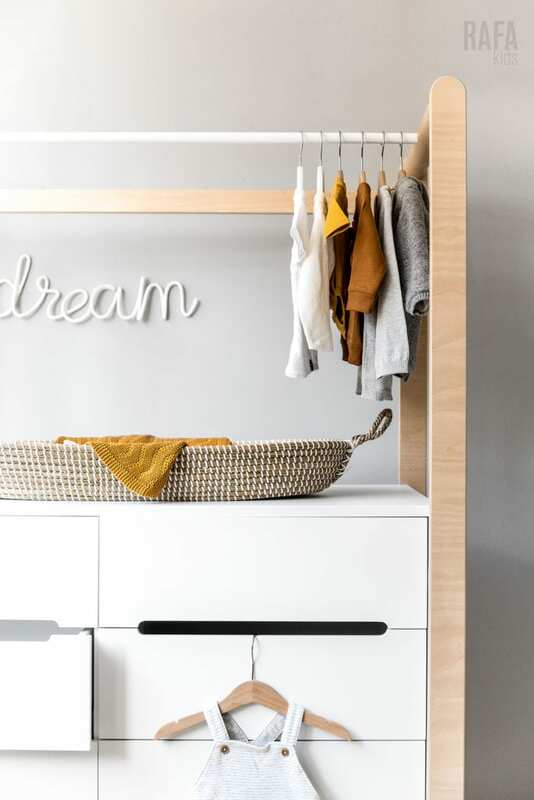 Rafa-kids H dresser can easily convert for an older child. We see it also in the Toddler’s room. 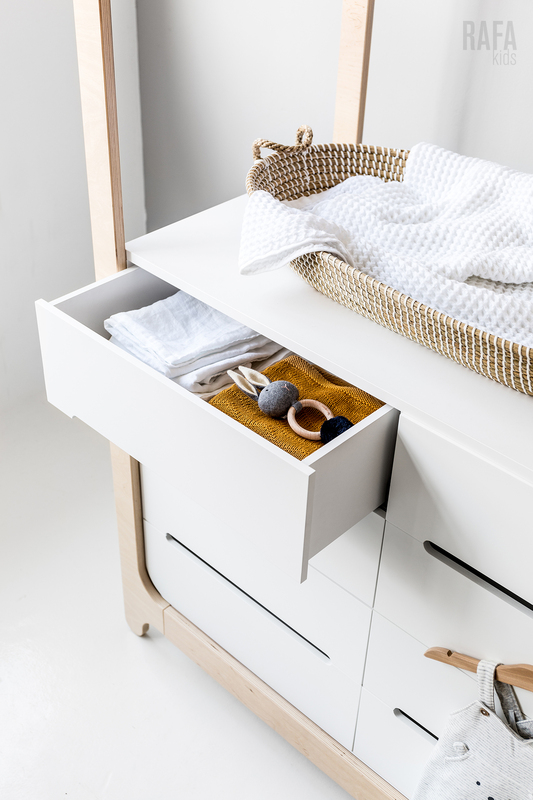 In the drawers, you can store not only clothes but also toys and larger things. 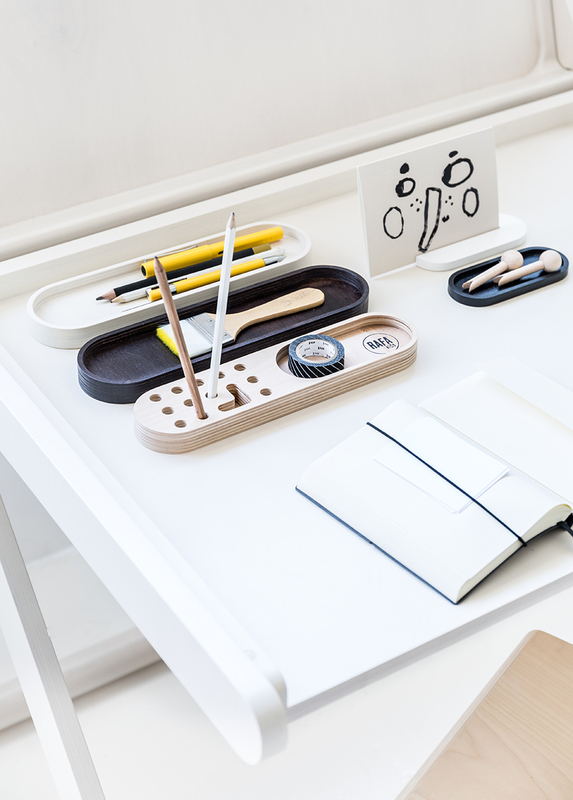 Each drawer has a soft-close system – safe for little fingers — no sharp edges. The rail can be used to hang the favorite toddler outfits, but maybe you would need Rafa-kids B bench to reach them! We believe that High-quality details make this dresser a long lasting piece of furniture. 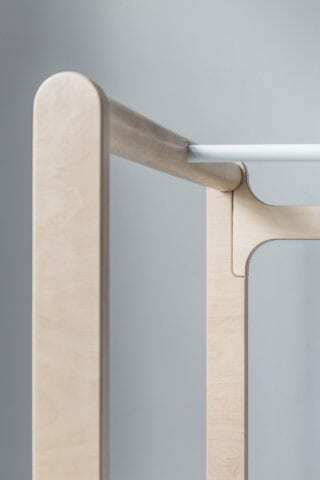 A sustainably sourced birch plywood gives the whole warmth and character. 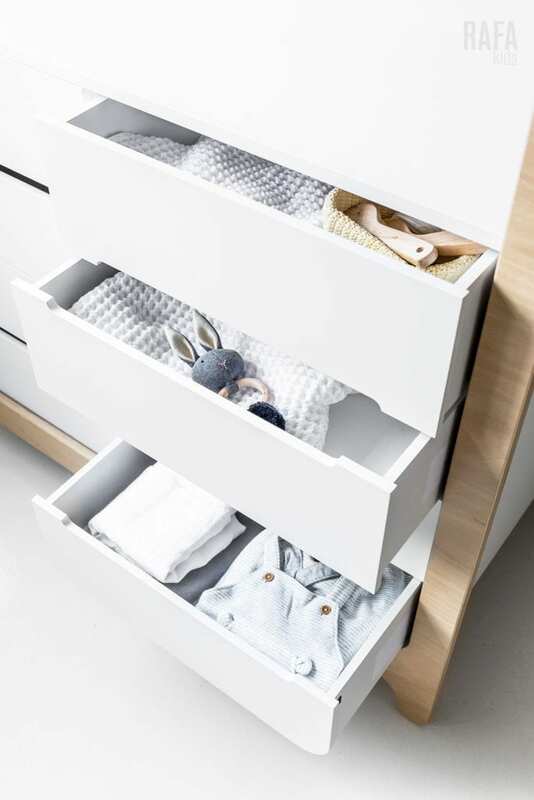 The durable white laminate makes sure that even after years of use the dresser stays in great shape. 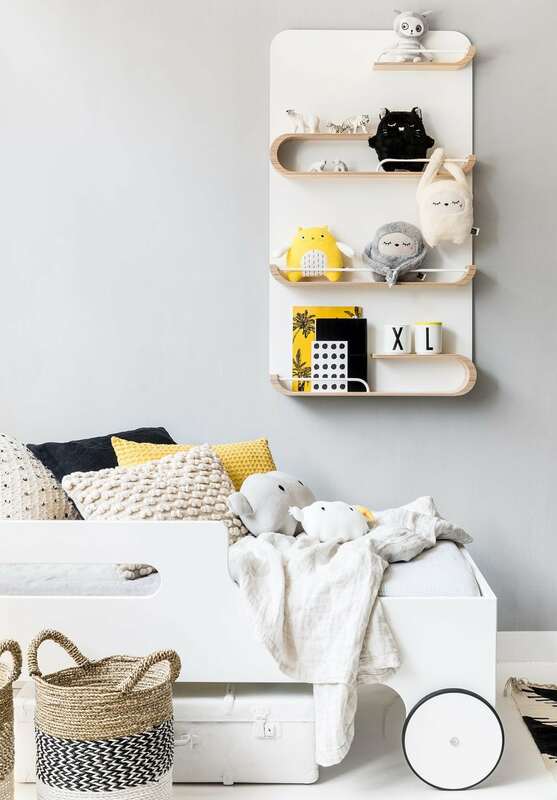 Like with all Rafa-kids furniture we take great care in making it long lasting, practical and beautiful. We hope you would like it and enjoy it for years! When is your child ready for a bunk bed ? Here at Rafa-kids, we often receive messages from parents asking: why do we advise the F bunk bed for children +6 years old, and if it could be ok to use it for younger children too?